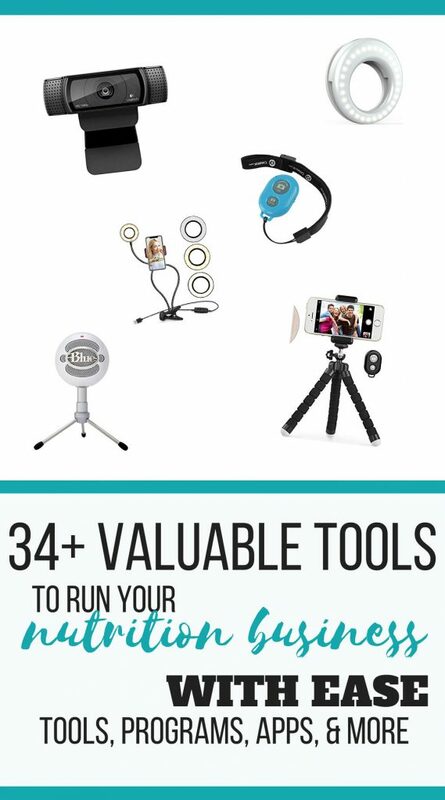 Whether you interact with customers “face to face” online or are capitalizing on the rapidly growing video trend or want great photos for social media, here are some of the tools to take you from amateur to pro (without really needing to be a pro). In a pinch you can always use a set of headphones, but an external microphone is an easy way to increase the sound quality of your videos, whether recorded, live, or with clients. Quality sound is also important if you have narrated presentations or videos in your online courses or group programs. A good mic can help cut down on ambient noise. I use the Blue Snowball because it’s so affordable (~$50), but I’ve since learned it’s a better microphone for capturing more than one person speaking. An option for capturing direct sound (aka one person talking directly into the microphone is the Blue Yeti, which is ~$100.) Audio-Technica is another popular brand. A lavalier mic is another great option if you’re going to be a little bit farther away from the camera or moving around. While it’s not so much of a secret any more, the ring light is the key to many beauty bloggers’ fabulous skin quality (and you thought it was the make up! – ok sometimes it is). But you’ve probably heard before that good lighting is the key to quality photos and video and it’s absolutely true. Good lighting can be the single most valuable step in taking your photos & videos from blah to bam! If you’re doing a lot of videos and photography, you might want to invest in something more substantial, but for the average nutrition entrepreneur, a ring light is a super affordable way to really ramp up the quality of your lighting. I don’t know about you, but I can’t plan my to-do list around when the right amount of daylight is going to be shining through my window. A mini ring light is my easy, go-to workaround. The ring light evenly illuminates the subject giving that nice photo-finish-like glow, as well as spreading even light across the subject to reduce unwanted shadows. I have one on a clip stand (it also has a phone holder, but I tend to use it more at my computer) and a ring light that attaches to my phone (I highly recommend the rechargeable battery feature!). Both of these options are under ~$20 each. With the rise in popularity of live video, a cell phone tripod can make filming yourself easier, especially if you need two hands to demonstrate something, like what you’re making for dinner. If you’re using a tripod, a remote is key so you can take photos and start & stop video without needing to use a self-timer and play that awkward-shot-guessing-game with the shutter. The above tripod comes with a remote, but if you don’t need a tripod for your phone, a cell phone camera remote by itself can still come in handy. I also love my remote for my “real” camera – I’m still kicking myself for putting off this purchase for so many years when it’s so inexpensive (~$9). From email automation to video capture + editing, social media management and more, these programs can help you run your business with less effort and fewer headaches. Way more robust than your traditional email platform (like Gmail), an email service provider let’s you send bulk emails to all your clients or potential clients (or better yet – certain segments of your clients), but the real powerhouse is in allowing you to set up automatic email sequences. For example, someone joins your email list (and building a list is where it’s at with marketing! ): you can set up your ESP to automatically email a “welcome” note, a link to a download they might have signed up for, or an appointment reminder. You can also up your relationship-building game by sending a whole series of emails that nurture your potential clients and let them get to know you. Taking it one step further, you can tag or group clients based on any number of things, such as interests, demographics, or where they signed up. This allows you to be even more specific with your emails (meaning less unsubscribes and more sales). – It’s super easy to use and has tons of pleasing design templates. If you don’t chose to use an option with built-in landing pages and forms, you’ll also want something that can do that. These are how people can sign up to download a freebie, opt-in, or content upgrade (a fantastic way to build your list) or act as a landing page for a course or program. 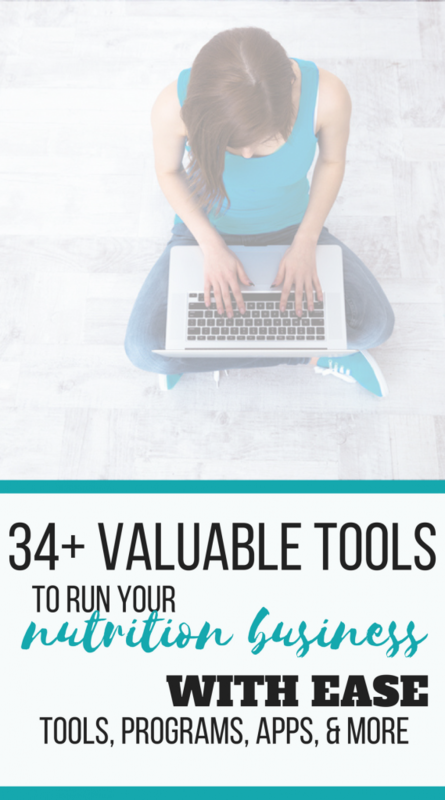 Popular options here include Leadpages, Thrive Leads, and SumoMe. Talk about making your life easier – instead of taking the time to complete mundane but necessary tasks, set up a “zap” to do it for you. If you can think of it, Zapier can probably do it automatically. Things like automatically adding the email of someone who registers for your course or membership program and add it to your ESP (email service provider) with the appropriate tag, or adding the contacts from your ESP to Google Sheets. Or what about automatically pinning your latest Instagram post to Pinterest? Yup, it can do that. You can create calendar events from Evernote notes, add a new Teachable customer to a specific ConvertKit sequence, or automatically add new Stripe charges to Freshbooks as paid invoices. So basically internet magic. Free and paid plans availabe based on the number of “zaps” you have and what apps you want to connect to. IFTTT (“if this then that”) is another option. We talk a lot about the value of using free opt-ins or content upgrades to grow your email list. Provided that free download automatically is absolutely a must – no one wants to sit at their email sending the same document over and over again and attempting to keep track of who got what. While your ESP can deliver it automatically, you need somewhere to actually host the link. You can use any cloud-based storage service, but I prefer Amazon AWS S3 storage – it’s free for a year and dirt, dirt cheap after that. You just upload it to s3, grab the link, and put the link in your automatated email response or sequence and bam that’s it. You can also use Google Drive or Dropbox, but I personally feel like Amazon is the most seemless for a majority of users. Ever gone back and forth over email trying to schedule a call with someone? Avoid all that hassle by using a scheduling program like Acuity. 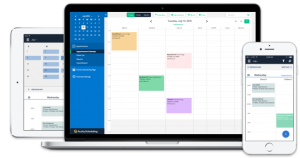 You can set your regular hours, edit them based on the day, sync with your personal calendar, and have different meeting lengths for various types of appointments. You can also attach forms and require payments for certain appointment types. This is great for scheduling clients, interviews, discovery calls, coffee chats, etc. There are free and paid plans available. A similar option is Calend.ly. While there are tons of options available to purchase when it comes to video editing, I’m going to mention some free ones here that should meet most people’s basic needs. Not only are they free, they often come built in on your computer. What you choose will depending on what type of computer you use. These mostly speak for themselves, but you may find them useful if you’re creating courses or need to do some basic video or audio edits, like deleting those extra “ummmms”, adding a music intro, or adding video intros/outros. Memberpress is membership plugin for WordPress-based websites. If you want to run a group program with content that’s intended just for members, this is one fairly straightforward way to do it. Because it restricts access to specific pages (or groups of pages, or posts, or categories, etc. ), you can use Memberpress to lock content and give access based on who you want to see it. You can offer free options, paid options, one-time payments, monthly payments, etc. While marketed as a membership site plugin, you can also use Memberpress as a basis for your online course instead of an official LMS (learning management system). It integrates easily with many other programs (like WP Affiliate, Paypal, Stripe, Amazon AWS, WooCommerce, ActiveCampaign, ConvertKit, and more.) Plans vary between $119-359/year based on how many features you want. Other options include Restrict Content Pro, Paid Memberships Pro, and S2 Member. Online courses are all the rage right now. If you’re wondering how to hop on that bandwagon, it can be pretty straightforward (all the way up to pretty difficult) when it comes to tech. Let’s start with the easiest options: Teachable + Thinkific. These two popular programs are pretty comparable. They offer free + paid plans, affiliate programs, built-in sales pages + shopping carts, and are super intuitive when it comes to set up. Plus, they come with a support option if you get stuck. Another bonus is that a lot of customers have used one of these programs before and becoming more and more familiar with them. Another option is to host a course on your own site, using a LMS (learning managment system), or a kind of hybrid between a completely third party platform and hosting it on your own. An example of a hybrid would be something like CourseCats. Examples of LMS options include LearnDash LMS, LifterLMS, WPCourseware, and WP Lunchbox. There are also options that go beyond just courses like Kajabi and Karta. If you sell any kind of digital content (or ‘ecommerce’), this is for you. By digital content I mean ebooks, meal plans, workbooks, courses, forms, etc. Easy Digital Downloads makes it easy to operate the whole backend selling process by accepting payments, delivering the digital goods, customer management, etc. It starts with a free option – paid plans start ~$100 or you can choose add-ons a la carte. (WooCommerce is a similar option but also supports selling physical goods.) Other digital shopping cart options include ThriveCart and SamCart. Affiliate programs are great way to get somebody else to help you sell your product or service. Using affiliates as part of your marketing program is one way to reach a bigger audience, plus it can be a way to use “social proof” to help show others your product or program is valuable (instead of you just telling them that it is). You can host your own affiliate program through a variety of plugins or third-party programs, like AffiliateWP. AffiliateWP lets you create custom links for your affiliates, allows for coupons, varied referral rates, payout tracking, and more. Other options include Affiliate Royale or a third party program like E-junkie. When it comes to hosting things on your own website, you’ll need to be able to edit the design to keep things cohesive and to reflect your brand. You can do this with some basic CSS & HTML knowledge, by hiring a designer, or by using a drag-and-drop theme. Divi gets my vote for WordPress Themes, allowing you to have little design knowledge and still make a pretty snazzy looking site without a lot of effort. Bonus – it comes with tons of premade layouts. Divi (along with the Elegant Themes toolset) is $89/year or $249 for a lifetime license. Another drag and drop option is Beaver Builder. You know those snazzy shots of a course or product displaying on a computer screen or phone screen? You can create your own (called mock ups) in Canva or other photo editing programs, but you also do it really easily for free in MockUPhone. (See the image under “Course Platforms” as an example.) MockUPhone is free, but if you want more of a background picture included or a different product (like a t-shirt or mug), check out PlaceIt.net. Instagram is a fabulous way to attract new clients and customers while building a relationship, but you only get one clickable link and it lives in your profile. Linktr.ee lets you put one link in your bio that leads to a list of other links. The links are easy to change out and you don’t have to worry about editing your Instagram profile every time you want to reference a new link. This is even more essential now that Instagram is all out of order and it might take a few days for someone to see your post. Free and paid plans. Other options include Link in Profile (paid) and Linkin.bio (via Later’s paid plans). You can also make a page on your website with a list of links as well. Psst follow DietitianHQ on Instagram. Have you seen those snazzy FB live interviews with multiple speakers featured on the same screen, with speakers’ names at the bottom, captions or questions that appear on the screen, or even a screen share presentation? BeLive TV can make that happen. (Plans start at $12/month – with certain plan levels you can even add your own branding to the screen.) Ecamm Live is a great option for Mac users. My number one tip for not letting social media overwhelm you as an online business owner (and therefore online marketer) is to have a social media plan. One step better than having a plan is having your social media prescheduled. There are options for every platform out there, but I’m highlighting Later here first because I use it the most. Their free plan allows up to 30 posts (feed or IG stories), including media, captions, and saved hashtag groups. Upgrading to a paid plan allows for more media, multiple accounts, and analytics. (If Instagram isn’t your main jam, try Tailwind or BoardBooster for Pinterest, or any of the other multi-platform schedulers like Buffer, Hootsuite, CoSchedule, MeetEdgar, or Smarterqueue. The platforms you use and type of content you share will help dictate which one is best for you.) Other options for IG include Preview, Planoly, Plann, UNUM, and Grum. (It’s worth mentioning that Hootsuite is one of the first updates to include actually posting to IG instead of just sending you a notification. However, it’s important for Instagram’s algorithm that you engage with your audience, so I only like to post when I’m actually available. It’s also worth mentioning that Facebook prefers you schedule within Facebook instead of using outside schedulers. While we’re talking Instagram, let me tell you about one of my new-ish favorite tools: DownloadGram. You can grab the link from any of your Instagram posts and download the photo (without having to search the source code on your computer or take a screenshot that will end up blurry.) Why would you want to do this? I’m a firm believer in not re-inventing the wheel when necessary (and also deleting allthethings from my phone). Most of us have TONS of content already posted on Instagram – who says every single picture needs to be brand-spranking new? There are so many times when I have something to say or share but don’t have the opportunity to do a photoshoot or create a graphic – I can dig into my own resource library and post away. If you want to stand out from the crowd (and the sea of white noise that is social media), you’ll need to be visually appealing. No worries, you don’t need to panic about your graphic design skills or buying an expensive program like Photoshop (although that’s great too – I love Photoshop Elements for design and Lightroom for photography). But there’s an easy way to make stunning graphics, whether it’s text on photo, a social media banner or image, or an ad: Canva. The free option is robust enough for most people, but there are also some great features with the paid option. What I like the most about Canva is that you can start with a ton of different templates, then just adjust them to match your branding and meet your needs, no design degree needed. You can also save your “brand colors” which makes this super easy to do. (See main graphic for this post as an example.) A great alternative here is Crello. Essentially a searchable notebook that can be accessed across devices (aka I can think of something on the run, jot it down in the app while on my phone, then open it up and have it on my computer). Plus it’s easy to organize with different notes and notebooks. Most people will be ok with the free plan, but the paid plans allow for more data transfer. Considering I run most of my business from my phone (and it’s always in arm’s reach), I consider Evernote (or another cloud-based notes program) an essential, both for my business and my brain. Having high quality, eye-pleasing images will help you stand out from all the other images (and messages) bombarding us on social media. Good news: you don’t need to be a professional photographer (or have a professional level camera) to acheive this. Using good lighting (see above!) and doing a little editing is usually all it takes. I have way too many photo-editing apps on my phone, but I’m going to recommend Snapseed because of it’s variety of tools. My favorites to use are white balance (my phone consistenly shoots yellow), tune image (easily change exposure, shadows, contrast, etc. ), and selective adjust (brighten just one area of your photo, etc.) 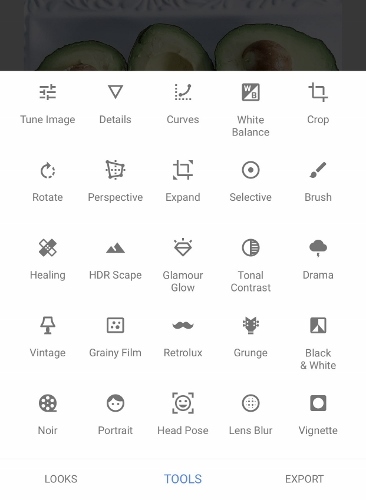 Other popular editing options include: VSCO, A Color Story, Line Camera, and Relight. Free. 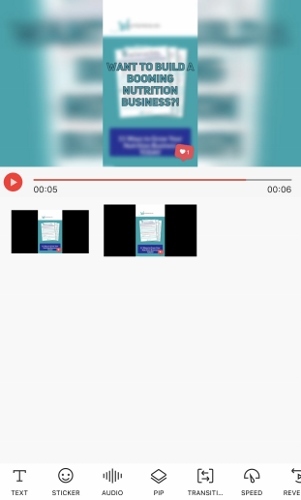 This app allows you to edit videos quickly and easily from your phone, as well as turn a collection of still photos, slides, or screenshots into a video. You can add text + audio, adjust speed, add filters, and more, and it exports in 1080p. With such an emphasis on video on social media these days, this is a great, easy option to ramp up your video presence. Free. Animate text on a photo. This is another way to add “video” to your repetoire without actually creating any videos. This is great for stories and posts alike. Free version available. $1.99 to remove watermark or $2.99 to unlock all features. Want to make engaging graphics but don’t feel like spending a lot of time or creativity on design? Grab a template in Adobe Spark Post, add your own images, colors, and text, then reshape to whatever size you need. 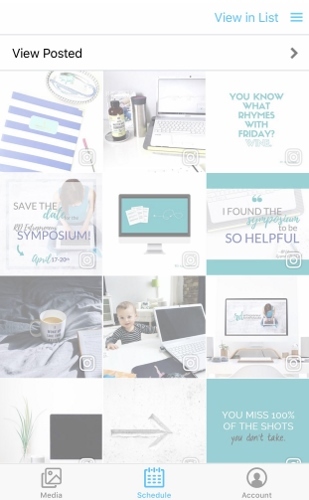 I like to use this instead of Canva if I’m on my phone because the Canva app tends to get glitchy and frustrate me, and the idea here is to simplify while still creating killer content. Free option; monthly or yearly subscription to upgrade watermark ($9.99/month/$99/year). Already have a great video but it’s not the right size? 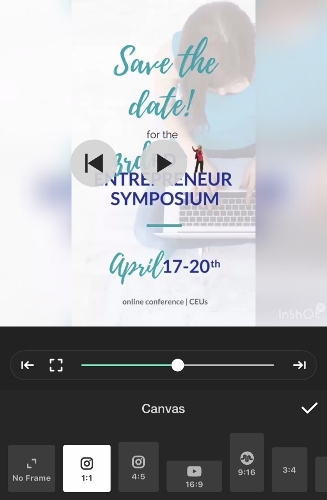 Easily edit the canvas size of your video to match the format you need. For example, save an Instagram Story and make it square to post in your regular feed. Free version available; $1.99 to remove watermark. 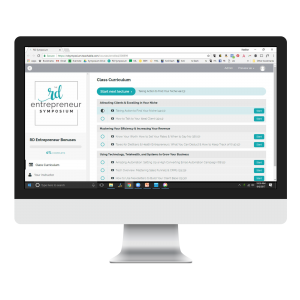 Have questions about how I use these different tools, programs, and apps to run my business as a nutrition entrepreneur? Feel free to ask away here.